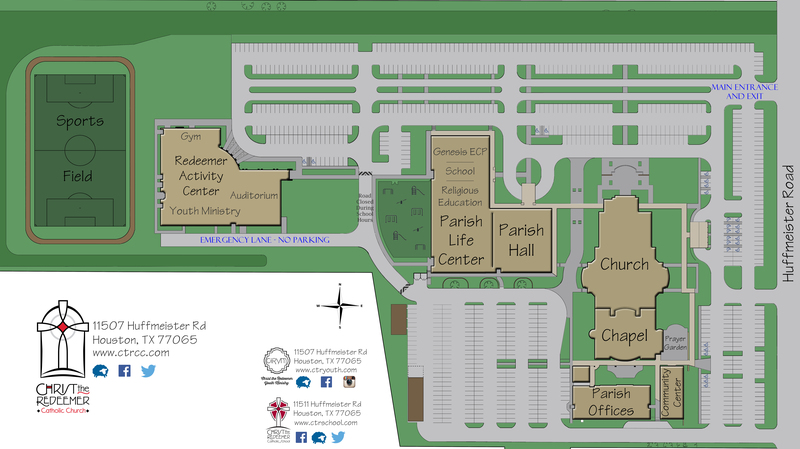 At Christ the Redeemer Catholic Church, parishioners and friends have an opportunity to memorialize and celebrate loved ones, friends, ministries and religious with a paver brick on our CtR Prayer Garden or in front of the Redeemer Activity Center. Purchasing a paver provides a legacy on our campus to be visited and celebrated in beautiful, well-visited spots on our campus. Feel free to fill out our online form by clicking the button at the bottom of the page. For questions about the Paver Program at CtR, please contact the Office of Advancement at 281-469-5533 or Director of Advancement, Megan Dillingham at megan.dillingham@ctrcc.com. Dedication: 3 lines with 14 characters per line, including spaces.